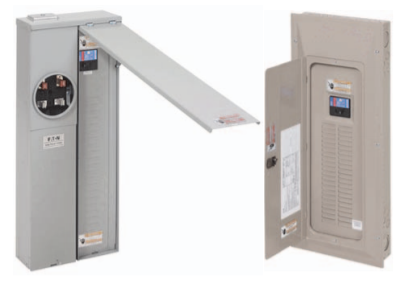 Does Eaton offer solar ready group metering products? Eaton’s Solar Power Centers combine both utility power and solar photovoltaic (PV) power into one enclosure. Solar Power Centers can be applied as a component of a complete PV electrical system. Eaton offers the most complete line of Balance of System (BOS) products in the industry, along with a wide variety of configurations including loadcenters and meter breakers. The Solar Power Centers feature industry-exclusive factory-installed permanent markings, which help to ensure National Electrical Code® (NEC) compliance. Required by the NEC, these markings enable quick and easy identification of product ratings and location of the parallel energy source disconnect. Prior to installation, contact your local utility to confirm approval.